The next HistorTEA will be held on Feb. 9 at the History Manor. The Museum of Fulton County has announced the return of the popular HistorTEA program for 2019. Each tea features three courses served during a special themed program. Tickets are $15 for the general public or $12.50 for members of the Museum of Fulton County. New for this year the Museum will offer a discounted tea package. Those interested can book three teas for only $40 or $32.50 for members, a savings of $5. Or they can book four teas for $50, or $40 for members, which is a savings of $10. To reserve a space or for more information call 419-337-7922. 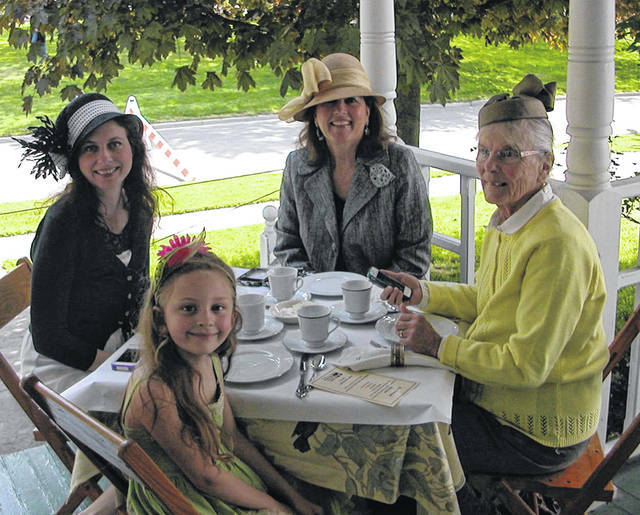 The teas will be held at the History Manor, 229 Monroe St., Wauseon. Share traditions of Valentine’s past with a special someone. Share a special day with an important woman in your life as we explore ordinary women making extraordinary differences. Bring your stories to share. Reminisce about that special day as we share photos and stories of our weddings on the porch. Celebrate the season with this festive tea and explore Christmas Past. https://www.swantonenterprise.com/wp-content/uploads/sites/23/2019/02/web1_HistorTEA-on-the-Front-Porch.jpgThe next HistorTEA will be held on Feb. 9 at the History Manor.